They sell you the marketing of the farm, and in reality you are buying and consuming mass-produced, inhumanely processed, dangerous meat. 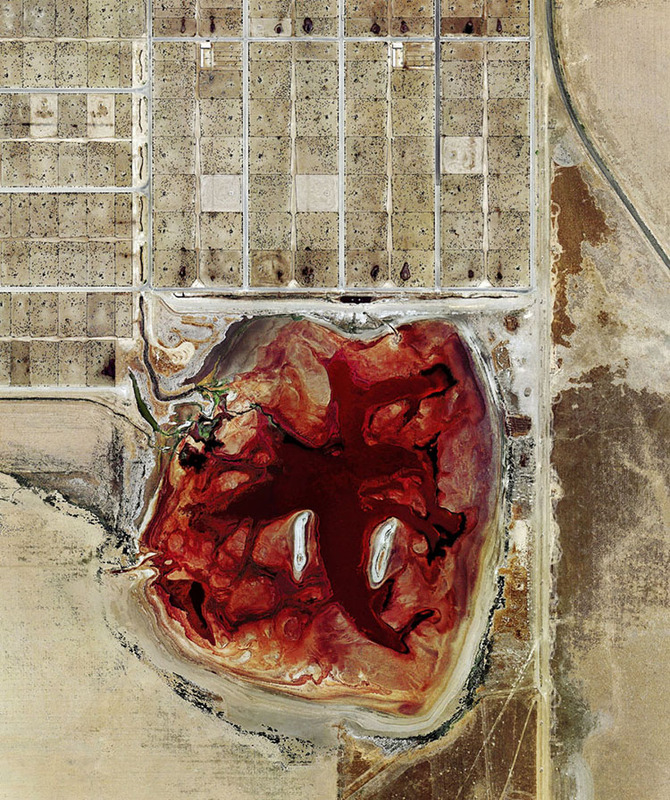 This is the waste lagoon at Coronado Feeders in TX. Not quite pastoral, huh? Thankfully, many activists are willing to risk their safety to bring people a real look inside these facilities. Leak after leak of unbelievable pain, suffering, fear, and safety violations are a very regular occurrence. And how does the government respond? Simple. 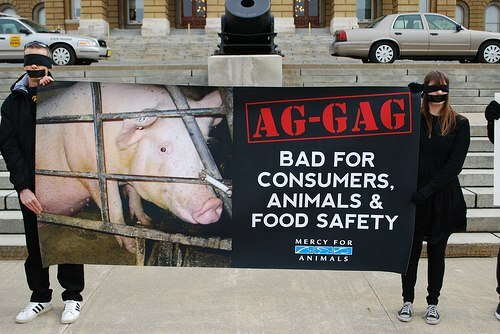 Instead of more funding for USDA inspectors and a revamp of the inspection process (where many facilities actually “self-certify“), they promote the passage of so-called “Ag-gag bills.” This makes it a significant crime (a felony in most cases) to secretly record, photograph, or video any animal agriculture establishment. Even if from public property. And, look. I get it. You might not be vegan, and that is fine. But this should still concern you. Most leaks also expose major food safety concerns. What exactly is the industry trying to hide if they are doing everything by the book? I’d suggest you go out and support your local farmer and butcher, but the US Government is making that harder and harder too. Bringing this back to the illusion – I always find it so interesting that when people are actually confronted with the reality of what they are eating, their reaction is different. When all the marketing BS is peeled away and you actually slice an animal’s throat open, or even just witness the killing, people pause. Take for example this amazing video I saw on Facebook. Seriously. Check it out. Notice how eager everyone was to try the sample and even buy the sausage? But when they actually see the animal, and hear it, and see it go into that box, some of them even physically intervene. This guy actually gets physical. How can we make purchasing decisions so blindly when it is off the shelf, but when there is an inkling of the reality behind the product we change our behavior? Notice how in the video, NO ONE wanted to buy the sausage after realizing what was going on. And that is my call to action for today. Either go vegan, or go find out what is actually going on with your meat. Pressure companies and regulators to do more to insure your (and your families’) safety, and less to insure the lining of corporate interests’ pockets. I’m interested on your take on measure 92. Food labeling…. Where does off road vegan stand ? So I am all for free market economics. However, one of the cornerstones of FME is a well educated consumer that has the knowledge to make the decision. Big agribusiness has been trying to prevent the consumer from having the information to make a decision, because they know they’d be on the losing end of FME. I 100% support measure 92 and am proud to be from Vermont, the first state to pass such a measure.